Quince Day Cream hydrates and protects. 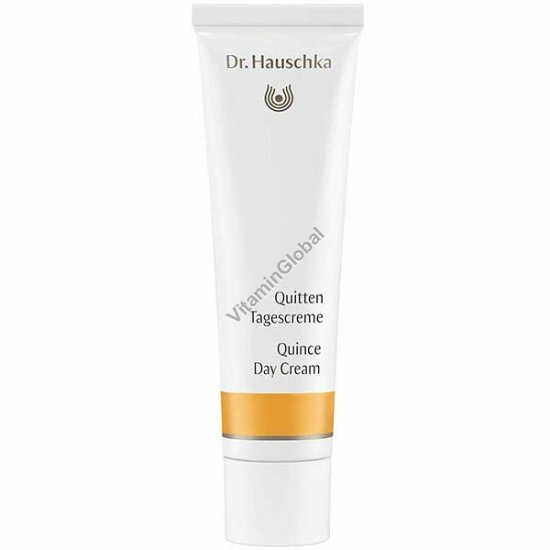 A light daily moisturiser for healthy, toned skin, Quince Day Cream refreshes and protects normal to slightly dry skin while supporting moisture content. Ingredients: Water (Aqua), Prunus Armeniaca (Apricot) Kernel Oil, Anthyllis Vulneraria Extract, Pyrus Cydonia Seed Extract, Alcohol, Daucus Carota Sativa (Carrot) Root Extract, Glycerin, Butyrospermum Parkii (Shea) Butter, Prunus Amygdalus Dulcis (Sweet Almond) Oil, Olea Europaea (Olive) Fruit Oil, Cetearyl Alcohol, Persea Gratissima (Avocado) Oil, Althaea Officinalis Leaf Extract, Simmondsia Chinensis (Jojoba) Seed Oil, Beeswax (Cera Alba), Pyrus Cydonia Peel/Fruit Wax, Lysolecithin, Bentonite, Hamamelis Virginiana (Witch Hazel) Bark/Leaf Extract, Fragrance (Parfum)*, Citral*, Citronellol*, Geraniol*, Limonene*, Linalool*, Eugenol*, Benzyl Benzoate*, Farnesol*, Xanthan Gum. Usage: Each morning after cleansing and toning, apply a small amount evenly to the face, neck and décolleté with your fingers. Quince Day Cream is perfect as a primer before applying make-up.